The evaluation of answer copies of Class XII was started from March 2, 2019 at 136 evaluation centres in Bihar and it was concluded on March 20, 2019. According to sources at BSEB, thousands of students miss chance for admissions due to delay in publication of Class XII results but this time they will be ready with the results when the admission session will begin in premiere institutes. The parents of the candidates who were apprehensive that the results will get delayed due to Lok Sabha elections, now heaving sigh of relief with the announcement of dates of Class XII results. Around 13, 15,371 students had written their examination at 1339 centers across the state. In state capital alone 71,313 students of all the streams wrote exams at 82 different examination centers. Around 573 examination centers had been allotted only for female examinees across the state. Practical examinations were held in January. 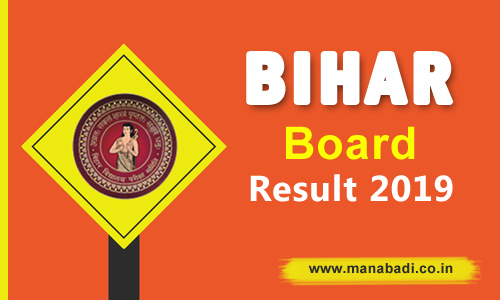 The Bihar Board intermediate Result 2019 would be released on March 30, 2019 on the official websites - biharboardonline.bihar.gov.in and bsebssresult.com. Last year, the NEET topper Kalpana Kumari topped Bihar Class 12 Science stream exam. She scored 434 marks in Bihar 12th Science examination. Nidhi Sinha from RDS College Muzaffarpur was the Commerce stream topper with 434 marks, while Kusum Kumari from Simultala Awasiya Vidyalaya, Jamui, stood as Arts stream topper with 424 marks. One Class XII topper each from science, commerce and arts streams was given cash prize of Rs 1 lakh along with a laptop and a kindle e-reader. A cash prize of Rs 75,000 each was given to the Class XII's second topper of every stream and third best from each stream got Rs 50,000 each. While the fourth and fifth rank holders of each stream of Class XII received Rs 15,000 and a laptop each. In 2019, 6.31 lakh students had passed the BSE class 12 examination and 52.95 was the overall pass percentage. The pass percentage for Arts, Commerce, and Science streams were 61.32, 91.3, and 44.70 respectively. 12.07 lakh students were registered for the examination in which 11.90 lakh students appeared.